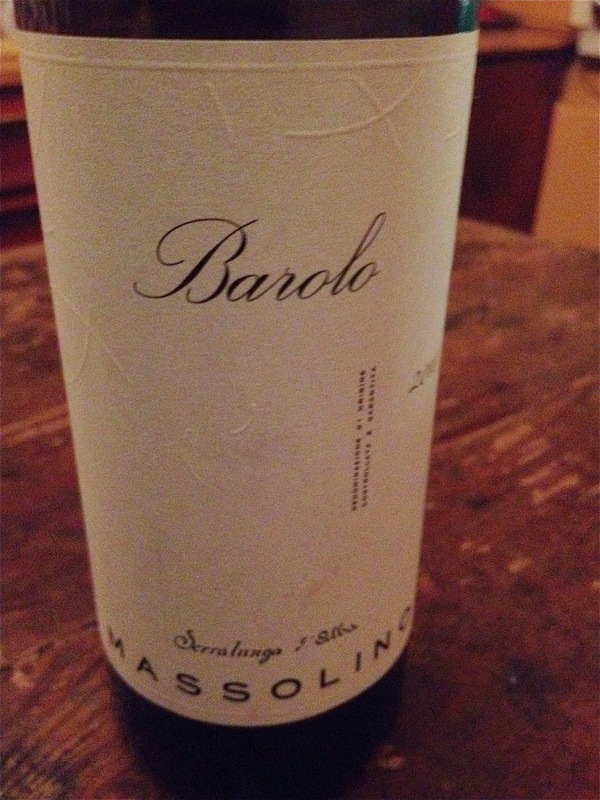 A Barolo "classico" from Massolino, with all the grapes coming from Serralunga d`Alba. So although this is a blend from different vineyards, with the new Barolo labeling regulations, it is actually possible for the winery to put the name of the village on the label. I kind of like this, as also here the village name really means something and differentiates, as this really is a typical Serralunga d`Alba wine. Serralunga d´Alba is a commune and village inside the Barolo denomination. It is famous for its superbly structured wines; the dense clay and chalk soils really produces long-lived, powerfull and maybe "not-for-begginners" kind of Barolos, probably the most structured and tannic of the whole denomination. Bouqet is just spectacular. It really jumps out from the glass, even without decanting: just beautiful strawberries, rasberries, blueberries, smoke, leather, earth, tar, truffels, wow, really really beautiful. A good reminder why I love Nebbiolo; you just don`t get this kind of bouqet from anywhere else. Mouthfeel is intense; Massivie tannins, strong accidity. Very dry and smokey wine, but still has intense red and dark fruit core. Deliciously savory finish, and medium to long aftertaste with nice tar/smokiness/earthyness surrounding the fruit. Have to admit this is one of the most tannic wines I`ve drinked in a while, I mean this is just unbeliavable strong in structure, a beast. Serralunga d`Alba all the way! It`s delicious, sure, but come back in 7-15 years and then… this has all the elements of future greatness.